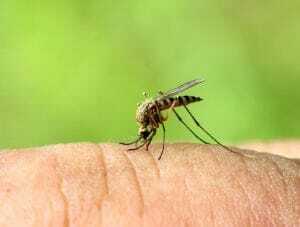 Modern science is in an arms race with mosquito borne disease and climate change is bringing the mosquito threat to the doorsteps of yet more nations. Recent headlines are placing emphasis on the views of the new President of the United States Donald Trump and many of his cabinet appointees, rejecting the scientific consensus on climate change. While the concept of global temperatures changing enough to massively affect our daily lives seems like a prospect for future generations, some changes may be closer than expected. Studies show that mosquito populations which typically remain in the warmer climates closer to the equator are being found further north with every successive year. For example, breeding populations of Aedes aegypti that would in the past be found no further north than South Carolina are being found in Capitol Hill Neighbourhood, Washington DC. This species of mosquito is a vector for diseases such as dengue fever and chikungunya, as well as the zika virus. The study found from the analysis of the mosquitoes in Washington DC that they were genetically identical to the colonies of mosquitoes typically found in South Carolina. This indicates that the migration and ability to survive further north cannot be attributed to natural genetic mutation; the cause must thus be external. This migration coincides with data indicating 2016 to have been the hottest year in recorded history, taking the top place from 2015, and before that 2014. Many people who are safe now, may be in much more danger in the future. If the trend continues. it is a reasonable assumption that so too will mosquito migration continue north. If this is the case a large portion of the population, in countries previously not exposed to mosquitos, will be at risk of contracting mosquito borne diseases. Over the coming years, it is vital to further develop strategies aimed at preventing this outcome. In 2016 a vaccine for dengue fever became available in the Philippines under the brand name Dengvaxia. The vaccine, CYD-TDV was created by Sanofi Pasteur and is currently marketed in the Philippines as well as four Latin American countries (Mexico, Brazil, El Salvador and Paraguay). CYD-TDV is a live attenuated vaccine (it contains a virus that is still living, with pathogenicity reduced to safe levels). It has four different strains of dengue fever in a chimeric vaccine. Simply put the vaccine itself is formed of the yellow fever virus (both dengue and yellow fever are of the flaviviridae family of RNA viruses) with the pre-membrane and envelope structural genes replaced by four of the five serotypes of dengue fever. This allows the body to recognise and build an immunity to the dengue pathogen without being exposed to any of the virulent components of the disease. The intentions for the vaccine in the years to come: “Sanofi Pasteur has estimated dengue-endemic countries can aim to reduce the burden of dengue by 50% in five years”. While a bold claim, the efficacy of the vaccine as shown by clinical trials, indicates this is indeed possible should the vaccine be made widely available. Clinical trial data taken from studies in Latin America conducted on children aged up to 25 months indicate an efficacy of 60.8 percent. There were no safety concerns found during the duration of the trial. Previous Asian trials of the vaccine conducted on children aged between 2 and 14 showed an efficacy of 56.5 percent, increased to 80.8% against severe cases of dengue. The results indicate that an aim of 50 percent disease reduction is indeed possible. The vaccine may prove itself to be of particular importance in the coming years as the migration of Aedes aegypti to countries further north has the potential to expose many more people to the dengue virus. A number of countries have taken to using the damage done by the wolbachia bacteria to the insects as a way to combat the spread of mosquito borne disease over the past year. The mechanism by which this occurs is poorly understood. Current studies postulate that early stage viral RNA replication or transcription is disrupted following the viral infection of a host already carrying wolbachia bacteria. 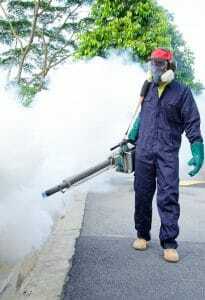 This leads to the reduced ability to transmit the infection from insects to a human host. With further research being conducted on the bacteria, it looks to be a promising future prevention method. Research into wolbachia has taken place for decades, though in recent years it has been found as an effective means to limit the spread of mosquito borne disease. Wolbachia provides a tremendous opportunity in that it is maternally transmitted, yet increases the relative fitness of infected females and so increases breeding rates, further spreading the bacteria. The implication of this is that a single local release of infected mosquitoes can spread the disease inhibiting effects to a much larger number of mosquitoes (and potentially outbreeding native mosquitoes) across a far broader area. This could provide an intervention strategy that is very light on resources once initially developed, as well as a safe and more environmentally friendly method eliminating the need for insecticides. Many countries are starting projects and investing in the development of the idea. Rio de Janeiro, Brazil, and Medellín, Colombia are two cities that are seizing the idea and have announced that the release of wolbachia infected mosquitoes will take place some time before the end of 2018 in a bid to combat the spread of the zika virus. In the US, the MosquitoMate biotechnology start-up is being reviewed by the US Environmental Protection Agency (EPA) to begin the use of wolbachia as a commercial pesticide against Aedes aegypti to reduce the spread of the associated diseases. The long term intentions for the use of wolbachia involve population suppression, in which large numbers of males infected with wolbachia are released, which, when mating with uninfected females, will fail to reproduce. This would limit the number of mosquitoes capable of spreading infection simply by reducing the population, though may have an effect on ecosystems due to the potential lack of mosquitoes as a food source for other animals. This population limiting approach is also being put in use by Oxitec, a British biotech company. Using genetic constructs inserted into male mosquitos the genes are then passed on to the next generation of mosquitos. Of this next generation, the males will die off before reaching maturity. The downfall of this method is the need for constant release of genetically modified mosquitoes. Alternatively, and as a far more long term goal, is population replacement. This would involve both infected males and females being released, spreading and outbreeding native mosquitos, while gradually reducing the risk of mosquito borne disease in the corresponding areas due to wolbachia’s inhibitory effect on virus transmission. Many vaccines for diseases such as malaria are proving ineffective in the struggle against diseases that are affecting more people every year. The GSK Malaria vaccine for example has been shown to dwindle in its disease combatting ability over a seven year period. SEEK – a UK based biotech company, in cooperation with the US National Institutes of Health are currently performing phase I clinical trials for a vaccine called AGS-v, composed of four synthetic mosquito saliva proteins. With new diseases and mutations making it difficult to vaccinate against every potential infection, the aim is to allow the body to recognise any mosquito bite to stimulate an immune response at the site, rather than waiting for infection to occur. This approach could have massive potential, though it is worth noting that it is in its initial trials phase, with no data currently published to indicate either the safety or efficacy of the vaccine. The coming year has the potential to be the fourth consecutive year in a row to take the title of hottest year on record, it is reasonable to assume that this will bring increased activity, and so an increased risk for mosquito related disease. There is a large degree of innovation in the field of combating these diseases, possibly spurred on by the publicity of the zika virus. By next year many of these projects will either be nearing completion or actually in usage, as such we may soon see the effectiveness and the potential benefits they may bring.